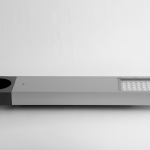 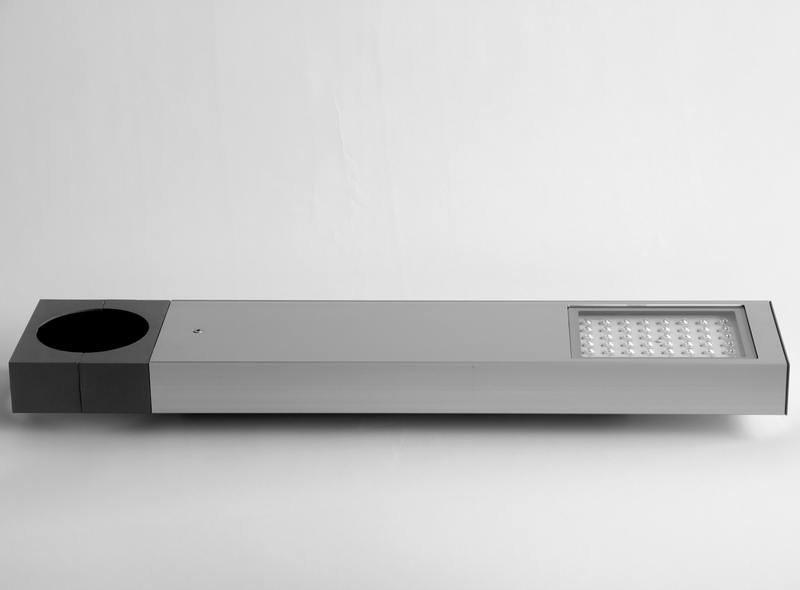 DesignApplause | Rama led. 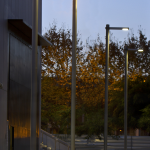 Gonzalo milá. 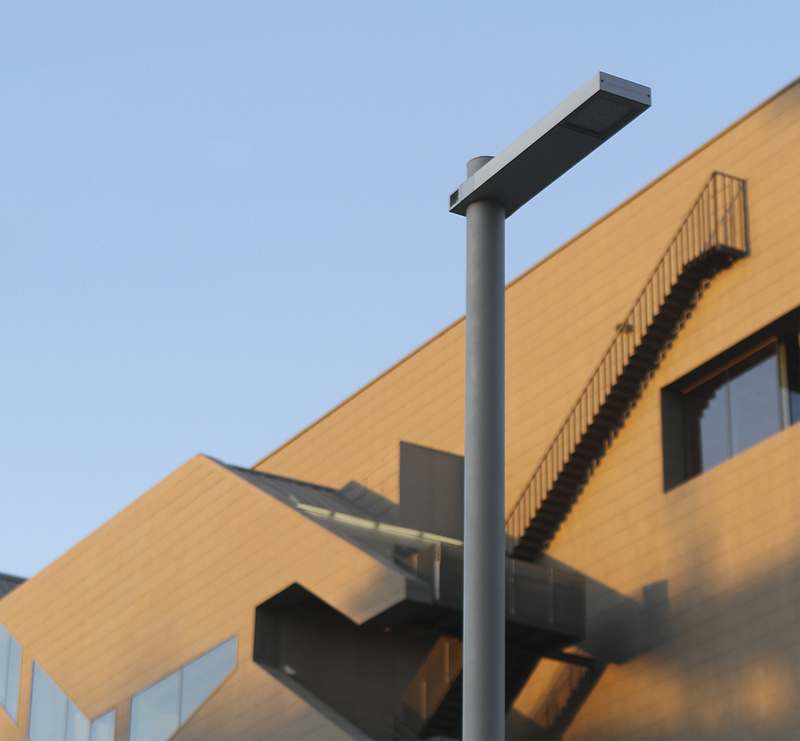 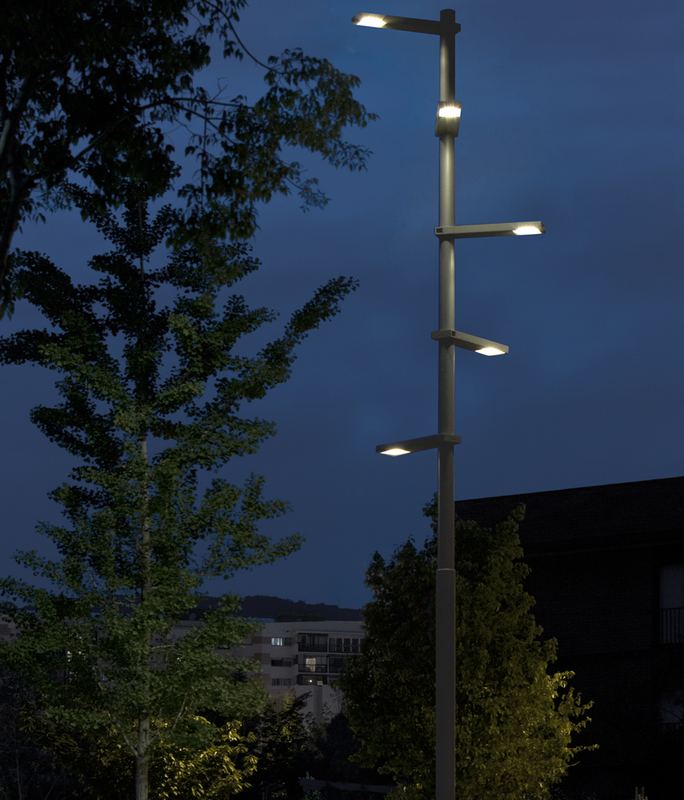 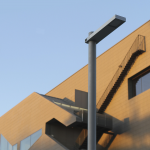 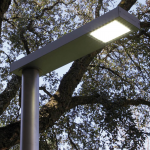 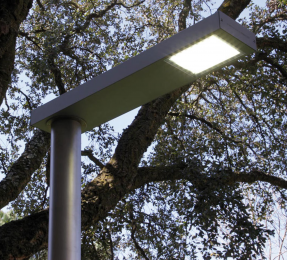 Designed by Gonzalo Milá to compliment modern urban surroundings, the Rama LED streetlight uses recycled and recyclable materials such as aluminum to create a more aesthetically pleasing and environmentally friendly streetlight. 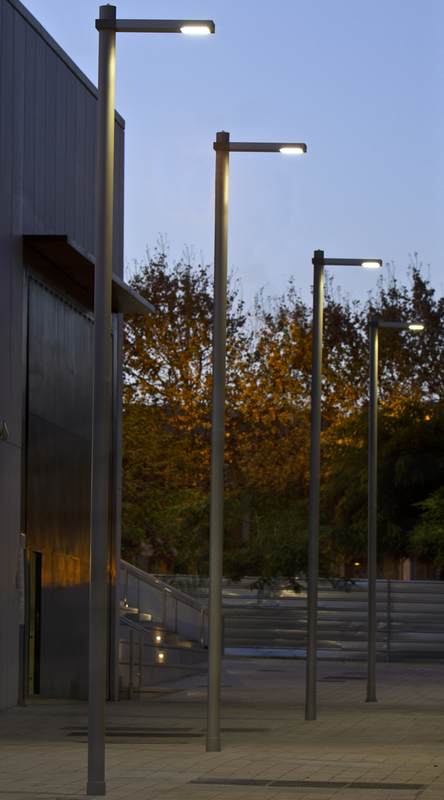 The brightness of the LEDs is also adjustable, making energy savings even more drastic over the previous generation of fluorescent-bulbed Rama streetlights, released in 2000. 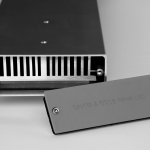 Maintenance of this generation is near nonexistent due to the use of LEDs. 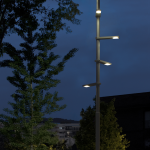 Clamps are used to attach the light to the pole, which is made of painted aluminum or galvanized steel, depending on the height and application, up to five lights may be clamped on to a single pole and positioned in any direction around it. 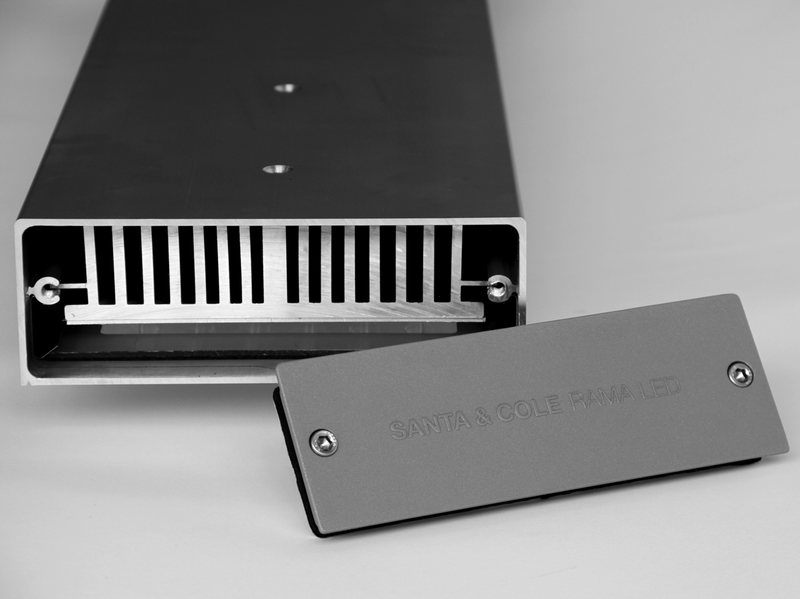 Manufactured by Santa & Cole.